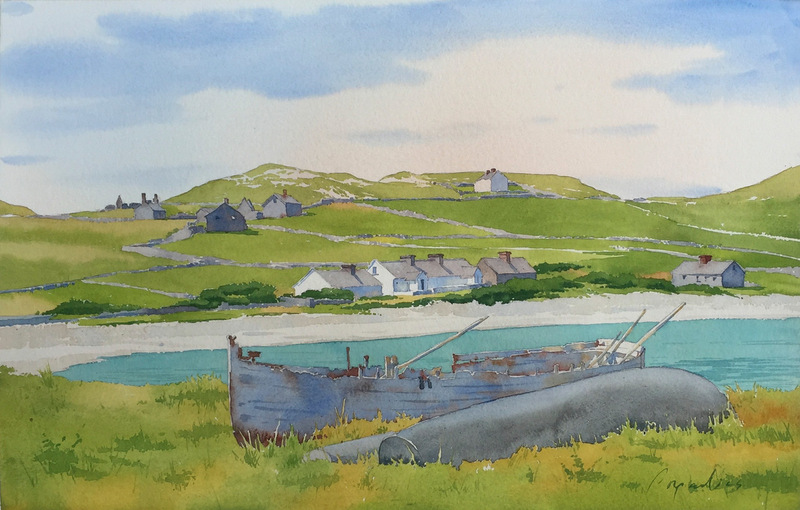 Just as the northern Catskills are at their greenest, join us and watercolorist Joel Popadics from June 17-23, 2018 to work on those green tones! In advance of his workshop, Joel took a moment to answer our short interview to help us learn a bit more about his background and approach to art. JP: As a toddler, I remember watching my mother draw along with Jon Gnagy while watching his television show “You are an Artist.” Years later, I drew all the pictures from his drawing kit. Art and creating has always been part of my life. As a child we attended a church that was elaborately decorated in paintings depicting biblical scenes. To this day, I vividly recall those images and how profoundly they inspired me to become an artist. JP: Yes, a major theme in my work is light and mood of weather. I’m especially fond of the fog. The subject is well suited for watercolor and creates an instant mood in a picture. JP: If a beginning artist wants to become a painter, then I would suggest that they draw constantly and work on their craft. JP: It’s what I do and how I make a living so there’s always a drive in my to produce. I love to learn and really enjoy the process of painting. JP: I’m honored to be giving a watercolor demonstration for the American Watercolor Society on Wednesday, April 18, 2018 at the Salmagundi Club in NYC. It’s usually a “standing room only” crowd and the venue with its history gets me all excited for this event. 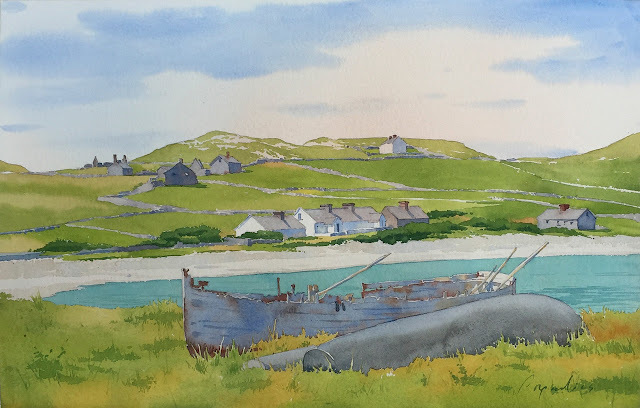 Learn more about Joel’s Capturing the Feeling of Light, Air, & Atmosphere in Your Watercolor Landscapes workshop here. Find out more about Joel on his website and give him a follow on Facebook and Twitter.